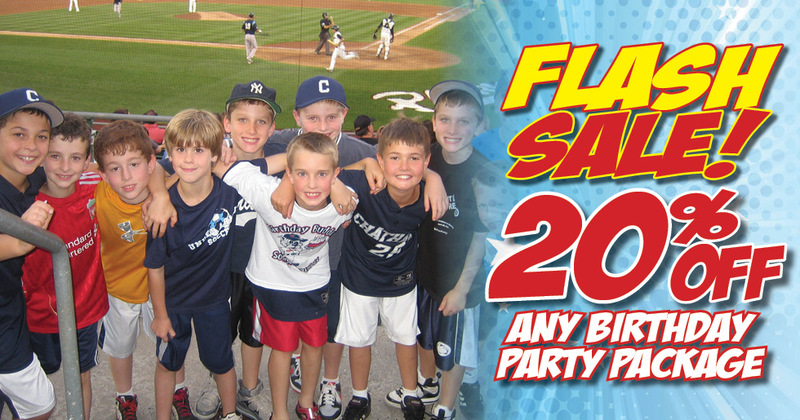 FLASH SALE: 20% Off Birthday Parties! 20% OFF Any Birthday Package Booked Now To April 24th! Contact Zach Keller at (908) 252-0700 ext. 209 or [email protected] to book today! Patriots Party Package: $168 (Normally $210)! Birthday BBQ Package: $300 (Normally $375)!